This was the fifth field work trip to the Keys. Specific birding was restricted to a couple of hours before breakfast when I walked a 3.85 mile circuit to the brackish lagoon on East Shore Drive then on to the small freshwater pool on Katherine Street, on Summerland Key. 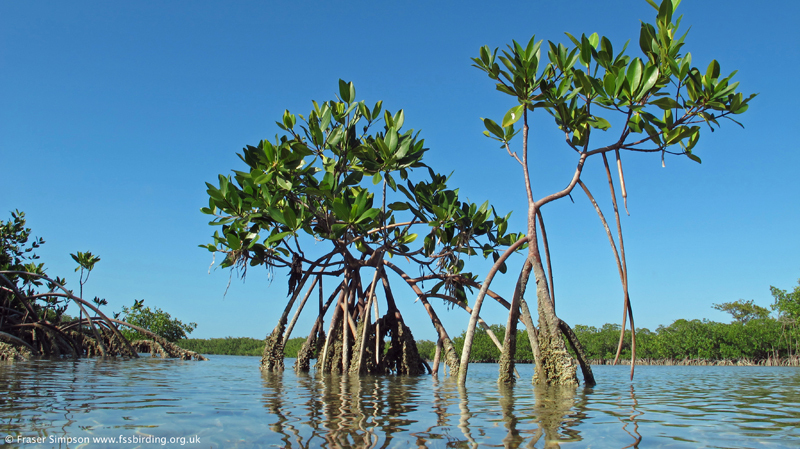 Everything else was just noted on the kayaking trips to the field sites in the mangroves around Summerland Key, Cudjoe Key and Lower Sugarloaf Key. What follows is a list of casual observations and a birder with more time could discover more migrant species. Kentucky Warbler, Yellow-throated Warbler, Northern Parula, Indigo Bunting, Painted Bunting, Boat-tailed Grackle. • Sibley, D. 2014. The North American Bird Guide (2nd edition). Bloomsbury. • Dunn, J. L. & Alderfer, J. 2011. Field Guide to the Birds of North America. (6th edition). National Geographic. • Stephenson, T & Whittle, S. 2013. The Warbler Guide. Princeton University Press. • Stokes, D., Stokes, L., Elliott, L. 1997. The Stokes Field Guide to Birds Songs: Eastern Region. Hachette Audio. 1, Bogie Channel, No Name Key-Doctors Arm, Big Pine Key, 07/11. 5, Gopher Key & southern tip of Cudjoe Key, 07/11. 1, over East Shore Drive lagoon, Summerland Key, 08/11. 2, west side of Summerland Key-Kemp Channel-southeast side of Cudjoe Key, 08/11. 64, counted from Keys Shuttle bus between Summerland Key and Key Largo, 10/11. 1, over Kemp Channel, between Cudjoe & Summerland Keys, 04/11. 4, over East Shore Drive lagoon, Summerland Key, 05/11. 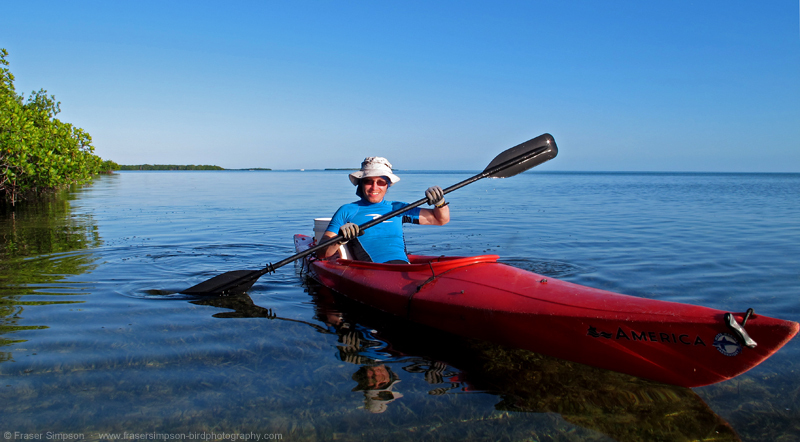 1, over Summerland Key, 05/11. 3, over Crab Key, 05/11. 2, west side of Summerland Key-Kemp Channel-south tip of Cudjoe Key, 06/11. 45, circling to roost, Out Key, 06/11. 2, Bogie Channel, No Name Key-Doctors Arm, Big Pine Key, 07/11. 22, Gopher Key & southern tip of Cudjoe Key, 07/11. 1, west side of Summerland Key-Kemp Channel-southeast side of Cudjoe Key, 08/11. Regular off Mote Marine Lab, Summerland Key. 10+, Kemp Channel, between Cudjoe & Summerland Keys, 04/11. 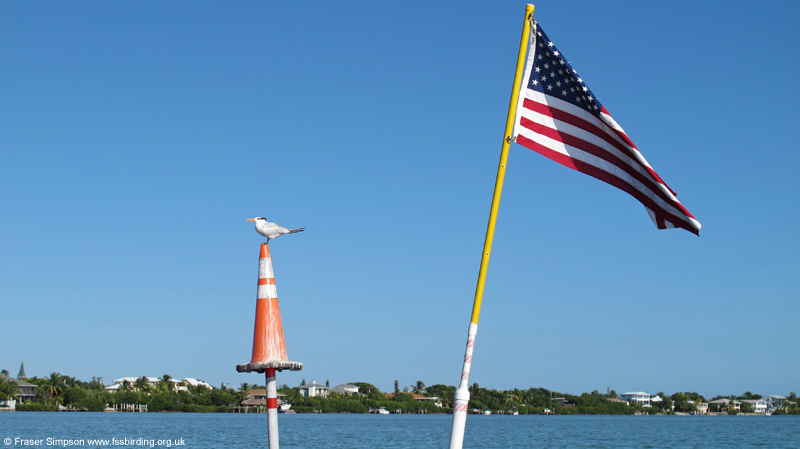 1, over East Shore Drive lagoon, Summerland Key, 06/11. 7, west side of Summerland Key-Kemp Channel-south tip of Cudjoe Key, 06/11. 8, south side of Cudjoe Key/Cudjoe Bay, 06/11. 17, Bogie Channel, No Name Key-Doctors Arm, Big Pine Key, 07/11. 12, Gopher Key & southern tip of Cudjoe Key, 07/11. 16, west side of Summerland Key-Kemp Channel-southeast side of Cudjoe Key, 08/11. 7, US-1, Summerland Key to Key West, 09/11. 436, (inc 231 Long Key Bridge) counted from Keys Shuttle bus between Summerland Key and Key Largo, 10/11. 2, counted from Keys Shuttle bus between Key Largo & Miami Airport, 10/11. 1, over Bogie Channel, No Name Key, 07/11. 2, ad + juv, East Shore Drive lagoon, Summerland Key, 04/11. 3, East Shore Drive lagoon, Summerland Key, 06/11. 3, south side of Cudjoe Key/Cudjoe Bay, 06/11. 4 (2 ads + 2 juvs), East Shore Drive lagoon, Summerland Key, 07/11. 1, East Shore Drive lagoon, Summerland Key, 08/11. 1, Katherine Street pond, Summerland Key, 09/11. Regular over Mote Marine Lab, Summerland Key. 1, south-west side of Summerland Key, 04/11. 3, southern tip of Summerland Key, 05/11. 1, over US-1 between Mote Marine Lab-East Shore Drive, Summerland Key, 06/11. 1, west side of Summerland Key-Kemp Channel-south tip of Cudjoe Key, 06/11. 2, south side of Cudjoe Key/Cudjoe Bay, 06/11. 1, counted from Keys Shuttle bus between Summerland Key and Key Largo, 10/11. 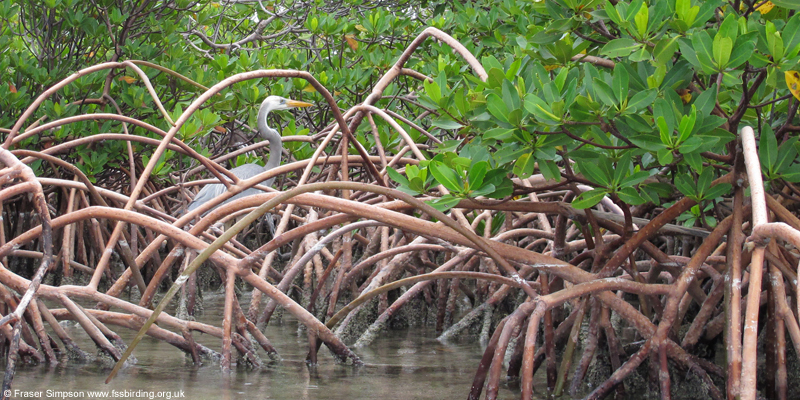 1, in mangroves at southern tip of Summerland Key, 05/11. 3, East Shore Drive lagoon, Summerland Key, 05/11. 1, on sidewalk at First State Bank, US-1, Summerland Key, 07/11. 4, East Shore Drive lagoon, Summerland Key, 07/11. 2, Katherine Street pond, Summerland Key, 09/11. 1, in a garden on East Shore Drive, Summerland Key, 09/11. 2, East Shore Drive lagoon, Summerland Key, 09/11. 3, counted from Keys Shuttle bus between Summerland Key and Key Largo, 10/11. 2, East Shore Drive lagoon, Summerland Key, 07/11. 1, counted from Keys Shuttle bus between Key Largo & Miami Airport, 10/11. 1, dark morph, East Shore Drive lagoon, Summerland Key, 05/11. 1, dark morph, East Shore Drive lagoon, Summerland Key, 06/11. 3, dark morphs, East Shore Drive lagoon, Summerland Key, 07/11. 1, dark morph, East Shore Drive lagoon, Summerland Key, 08/11. 1, dark morph, East Shore Drive lagoon, Summerland Key, 09/11. 5, East Shore Drive lagoon, Summerland Key, 05/11. 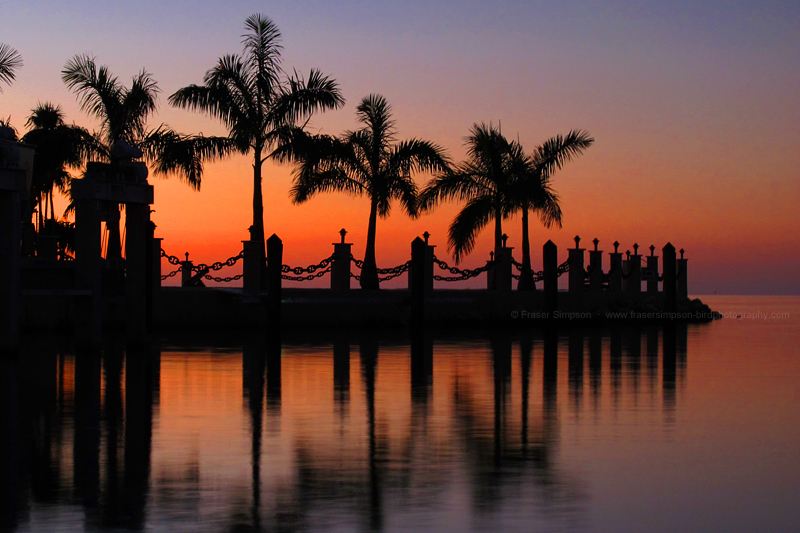 1, Katherine Street pond, Summerland Key, 06/11. 1, south side of Cudjoe Key/Cudjoe Bay, 06/11. 9, East Shore Drive lagoon, Summerland Key, 07/11. 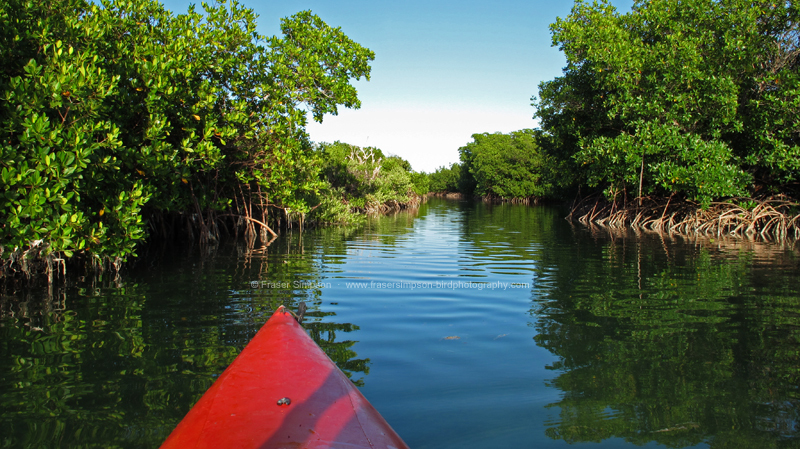 1, Pirate's Road channel, Cudjoe Key, 07/11. 1, southern tip of Cudjoe Key, 07/11. 1, Katherine Street pond, Summerland Key, 08/11. 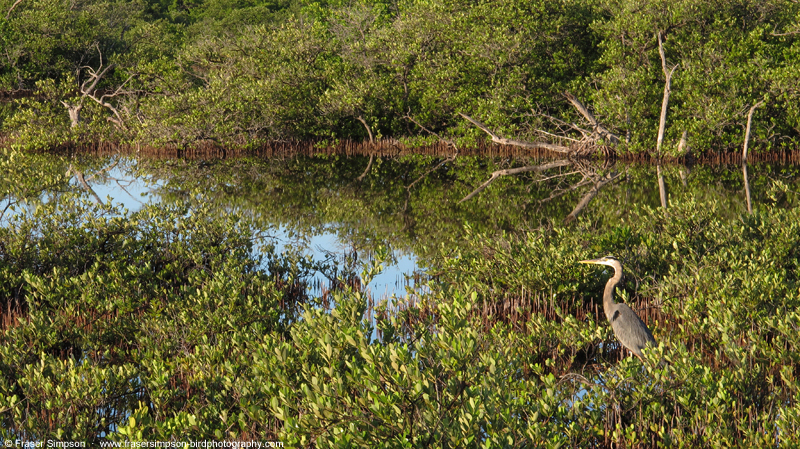 2, mangroves on south-west side of Summerland Key, 04/11. 1, East Shore Drive lagoon, Summerland Key, 05/11. 2, south tip of Summerland Key, 05/11. 1, East Shore Drive lagoon, Summerland Key, 06/11. 4, Bogie Channel, No Name Key-Doctors Arm, Big Pine Key, 07/11. 2, counted from Keys Shuttle bus between Summerland Key and Key Largo, 10/11. 8, channels on southern half of Summerland Key, 05/11. 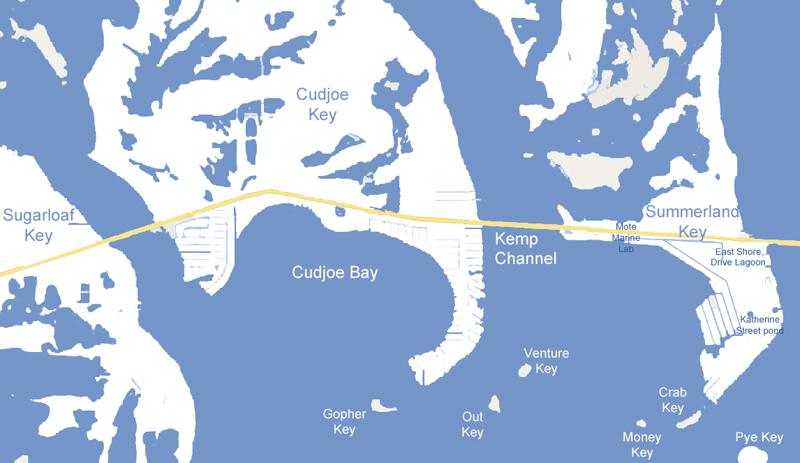 4, south side of Cudjoe Key/Cudjoe Bay, 06/11. 3, Bogie Channel, No Name Key-Doctors Arm, Big Pine Key, 07/11. 4, west side of Summerland Key-Kemp Channel-southeast side of Cudjoe Key, 08/11. juv, Big Pine Key, 07/11. 1, Lake Drive North, Summerland Key, 05/11. 2, southern tip of Summerland Key, 05/11. 1 juv, Katherine Street pond, Summerland Key, 05/11. 1 juv, Katherine Street pond, Summerland Key, 06/11. 1 juv, Katherine Street pond, Summerland Key, 07/11. 3, Gopher Key & southern tip of Cudjoe Key, 07/11. 3, south-west side of Summerland Key, 04/11. 5, over US-1, Summerland Key, 05/11. 16, East Shore Drive lagoon, Summerland Key, 05/11. 7, Katherine Street pond, Summerland Key, 05/11. 14, channels along southern half of Summerland Key, 05/11. 9, along US-1 between Mote Marine Lab-East Shore Drive, Summerland Key, 06/11. 4, East Shore Drive lagoon, Summerland Key, 06/11. 6, Katherine Street pond, Summerland Key, 06/11. 1, West Shore Drive, Summerland Key, 06/11. 43, south side of Cudjoe Key/Cudjoe Bay, 06/11. 13, along US-1 between Mote Marine Lab-East Shore Drive, Summerland Key, 07/11. 3, East Shore Drive, Summerland Key, 07/11. 11 (7 ads + 4 juvs), Katherine Street pond, Summerland Key, 07/11. 6, along US-1 between Mote Marine Lab-East Shore Drive, Summerland Key, 08/11. 3, East Shore Drive lagoon, Summerland Key, 08/11. 5, Katherine Street pond, Summerland Key, 08/11. 10, along US-1 between Mote Marine Lab-East Shore Drive, Summerland Key, 09/11. 3, West Shore Drive, Summerland Key, 09/11. 11, Katherine Street pond, Summerland Key, 09/11. 2, East Shore Drive, Summerland Key, 09/11. 74, US-1, Summerland Key to Key West, 09/11. 9, counted from Keys Shuttle bus between Summerland Key and Key Largo, 10/11. 38, counted from Keys Shuttle bus between Key Largo & Miami Airport, 10/11. 7, Katherine Street pond, Summerland Key, 06/11. 7, Katherine Street pond, Summerland Key, 07/11. 7, Katherine Street pond, Summerland Key, 08/11. 7, Katherine Street pond, Summerland Key, 09/11. 1 f, Katherine Street pond, Summerland Key, 09/11. 1, along US-1 between Mote Marine Lab-East Shore Drive, Summerland Key, 08/11. 6, counted from Keys Shuttle bus between Summerland Key and Key Largo, 10/11. 9, over south-west side of Summerland Key, 04/11. 2, over channels along southern half of Summerland Key, 05/11. 4, west side of Summerland Key-Kemp Channel-south tip of Cudjoe Key, 06/11. 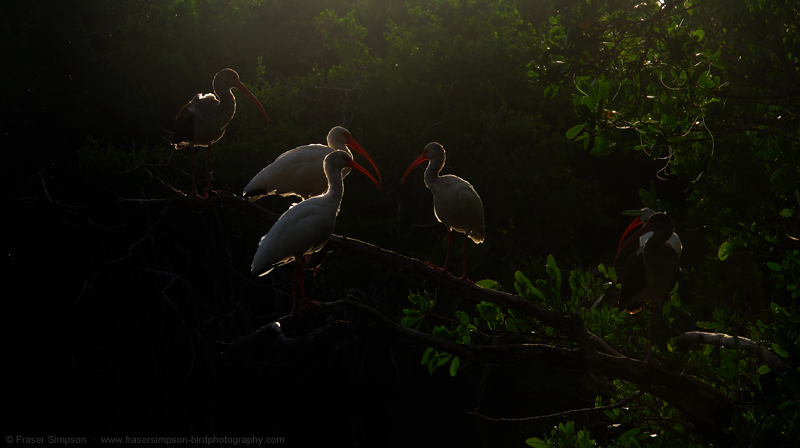 30+, over east side of Sugarloaf Key, 06/11. 30+, Doctors Arm, Big Pine Key, 07/11. 24, Pirate's Road channel, Cudjoe Key, 07/11. 21, US-1, Summerland Key to Key West, 09/11. 74, Mote Marine Laboratory, Summerland Key, 10/11. 51, counted from Keys Shuttle bus between Summerland Key and Key Largo, 10/11. 17, counted from Keys Shuttle bus between Key Largo & Miami Airport, 10/11. 1, South Dixie Highway, 10/11. 1, over West Shore Drive, Summerland Key, 05/11. 3, over US-1, Summerland Key, 04/11. 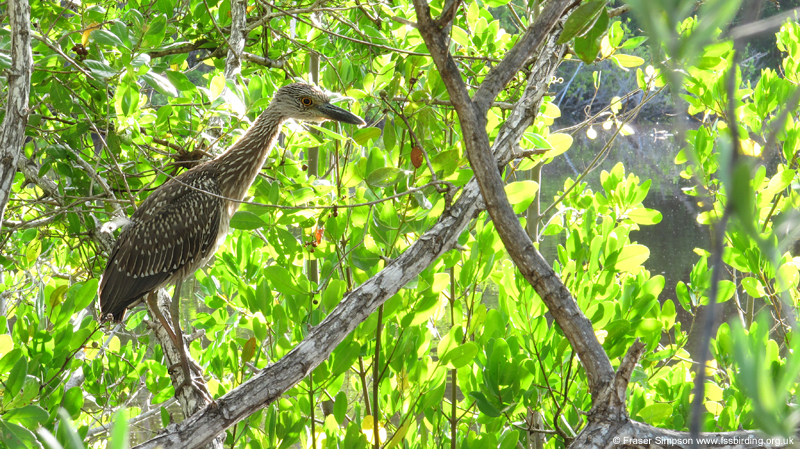 1, perched in mangroves on south-west side of Summerland Key, 04/11. 1, Mote Marine Lab, Summerland Key, 05/11. 1, along US-1 between Mote Marine Lab-East Shore Drive, Summerland Key, 07/11. 1, Margaret Street, Summerland Key, 08/11. 1, Mote Marine Laboratory, Summerland Key, 10/11. 1, west side of Summerland Key, 06/11. 1, over south-west corner of Summerland Key, 04/11. Pr, East Shore Drive lagoon, Summerland Key, 05/11. 1, over Airport Drive South, Summerland Key, 05/11. 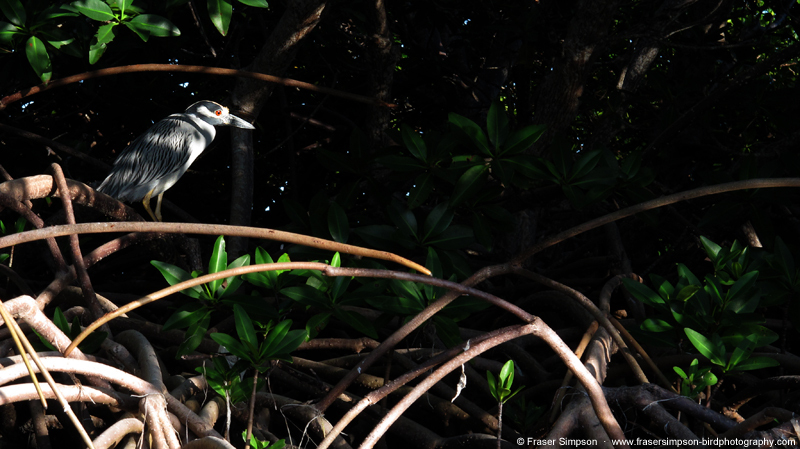 Pr, on nest at southern tip of Cudjoe Key, 06/11. 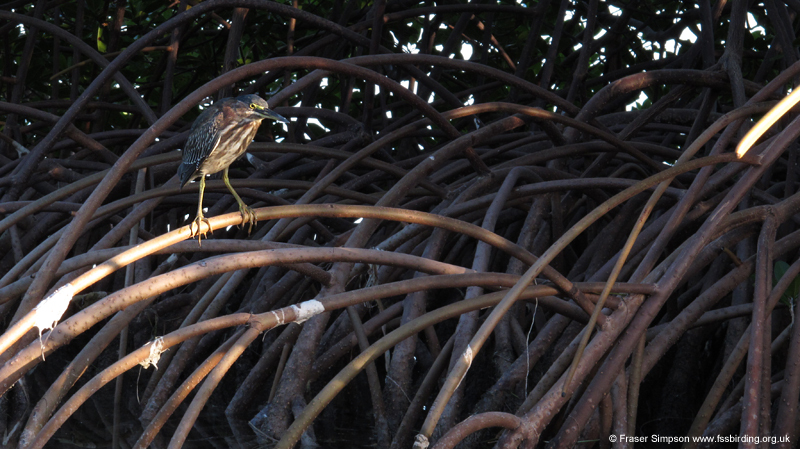 1, nest-repairing, East Shore Drive lagoon, Summerland Key, 07/11. Pr, East Shore Drive lagoon, Summerland Key, 08/11. 1, over Mote Marine Laboratory, Summerland Key, 09/11. 1, East Shore Drive lagoon, Summerland Key, 09/11. 1, over Mote Marine Lab, Summerland Key, 04/11. 1, south-west corner of Summerland Key, 04/11. 2, East Shore Drive, Summerland Key, 05/11. 1, Margaret Street, Summerland Key, 05/11. 1, Katherine Street-45th Street, Summerland Key, 05/11. 3, channels along southern half of Summerland Key, 05/11. 1, along US-1 between Mote Marine Lab-East Shore Drive, Summerland Key, 06/11. 1, East Shore Drive, Summerland Key, 06/11. 1, East Shore Drive lagoon, Summerland Key, 07/11. 1, Katherine Street pond, Summerland Key, 07/11. 2, Katherine Street pond, Summerland Key, 08/11. 1, 45th Street, Summerland Key, 08/11. 2, West Shore Drive, Summerland Key, 08/11. 1, Katherine Street, Summerland Key, 09/11. 1, East Shore Drive, Summerland Key, 09/11. 3, US-1, Summerland Key to Key West, 09/11. 1, south-east side of Summerland Key, 05/11. 2, south-west side of Summerland Key, 04/11. 2, channels along southern half of Summerland Key, 05/11. 1, channel along Caribbean Drive East, Summerland Key, 05/11. Small Peep spp. Calidris spp. Regular past Mote Marine Lab, Summerland Key, daily. 20+, Kemp Channel, between Cudjoe and Summerland Keys, 04/11. 7, over channels along southern half of Summerland Key, 05/11. 18, on water, off southern side of Summerland Key, 05/11. 40, west side of Summerland Key-Kemp Channel-south tip of Cudjoe Key, 06/11. 30+, south side of Cudjoe Key/Cudjoe Bay, 06/11. 7, Gopher Key & southern tip of Cudjoe Key, 07/11. 5, along US-1 between Mote Marine Lab-East Shore Drive, Summerland Key, 08/11. 24, along US-1 between Mote Marine Lab-East Shore Drive, Summerland Key, 08/11. 5, west side of Summerland Key-Kemp Channel-southeast side of Cudjoe Key, 08/11. 3, East Shore Drive lagoon, Summerland Key, 09/11. 2, US-1, Summerland Key to Key West, 09/11. 20+, Mallory Square, Key West, 09/11. 25, counted from Keys Shuttle bus between Summerland Key and Key Largo, 10/11. 2, Long Key Bridge, 10/11. 2, southern side of Summerland Key, 05/11. 4, southern tip of Summerland Key and Crab Key, 05/11. 8, west side of Summerland Key-Kemp Channel-south tip of Cudjoe Key, 06/11. 7, south side of Cudjoe Key/Cudjoe Bay, 06/11. 6, Gopher Key & southern tip of Cudjoe Key, 07/11. 1, US-1, Summerland Key to Key West, 09/11. 4, counted from Keys Shuttle bus between Summerland Key and Key Largo, 10/11. 1, East Shore Drive, Summerland Key, 05/11. 4, along channels on southern half of Summerland Key, 05/11. 10, Katherine Street pond, Summerland Key, 06/11. 5, south side of Cudjoe Key/Cudjoe Bay, 06/11. 4, East Shore Drive, Summerland Key, 07/11. 1, Margaret Street, Summerland Key, 07/11. 4, East Shore Drive, Summerland Key, 08/11. 2, Margaret Street, Summerland Key, 08/11. 2, 45th Street, Summerland Key, 08/11. 1, along US-1 between Mote Marine Lab-East Shore Drive, Summerland Key, 09/11. 5, US-1, Summerland Key to Key West, 09/11. 5, counted from Keys Shuttle bus between Key Largo & Miami Airport, 10/11. 1, roosting with Red Junglefowl in roadside tree, Marathon, 03/11. 1, Murray's Market, Summerland Key, 04/11. 10, along US-1 between Mote Marine Lab-East Shore Drive, Summerland Key, 05/11. 4, East Shore Drive lagoon, Summerland Key, 05/11. 4, Margaret Street, Summerland Key, 05/11. 11, West Shore Drive, Summerland Key, 05/11. 16, channels along southern half of Summerland Key, 05/11. 14, along US-1 between Mote Marine Lab-East Shore Drive, Summerland Key, 06/11. 2, Margaret Street, Summerland Key, 06/11. 11, West Shore Drive, Summerland Key, 06/11. 23, south side of Cudjoe Key/Cudjoe Bay, 06/11. 12, along US-1 between Mote Marine Lab-East Shore Drive, Summerland Key, 07/11. 9, including one singing, along US-1 between Mote Marine Lab-East Shore Drive, Summerland Key, 08/11. 4, 44th Street, Summerland Key, 08/11. 8, West Shore Drive, Summerland Key, 08/11. 34, along US-1 between Mote Marine Lab-East Shore Drive, Summerland Key, 09/11. 14, West Shore Drive, Summerland Key, 09/11. 2, Katherine Street, Summerland Key, 09/11. 53, US-1, Summerland Key to Key West, 09/11. 12, counted from Keys Shuttle bus between Key Largo & Miami Airport, 10/11. 1, over East Shore Drive lagoon, Summerland Key, 05/11. 1, Mote Marine Laboratory, Summerland Key, 08/11. Heard calling, under Kemp Channel bridge, 04/11. 36, over East Shore Drive lagoon, Summerland Key, 05/11. 6, East Shore Drive, Summerland Key, 06/11. 11, west side of Summerland Key-Kemp Channel-south tip of Cudjoe Key, 06/11. 2, East Shore Drive, Summerland Key, 07/11. 2, Katherine Street pond, Summerland Key, 07/11. 23, Bogie Channel Bridge, No Name Key-Doctors Arm, Big Pine Key, 07/11. 12, 44th Street, Summerland Key, 08/11. 8, 44th Street, Summerland Key, 09/11. 56, US-1, Summerland Key to Key West, 09/11. 141, counted from Keys Shuttle bus between Summerland Key and Key Largo, 10/11. 39, counted from Keys Shuttle bus between Key Largo & Miami Airport, 10/11. 1, Margaret Street, Summerland Key, 06/11. 1, Mote Marine Lab, Summerland Key, 04/11. 2, East Shore Drive lagoon, Summerland Key, 05/11. 1, Katherine Street pond, Summerland Key, 05/11. 1, southern tip of Summerland Key, 05/11. 2, East Shore Drive lagoon, Summerland Key, 06/11. 3, west side of Summerland Key-Kemp Channel-south tip of Cudjoe Key, 06/11. 4, Gopher Key & southern tip of Cudjoe Key, 07/11. 2, East Shore Drive lagoon, Summerland Key, 08/11. 1, 41st Street, Summerland Key, 06/11. 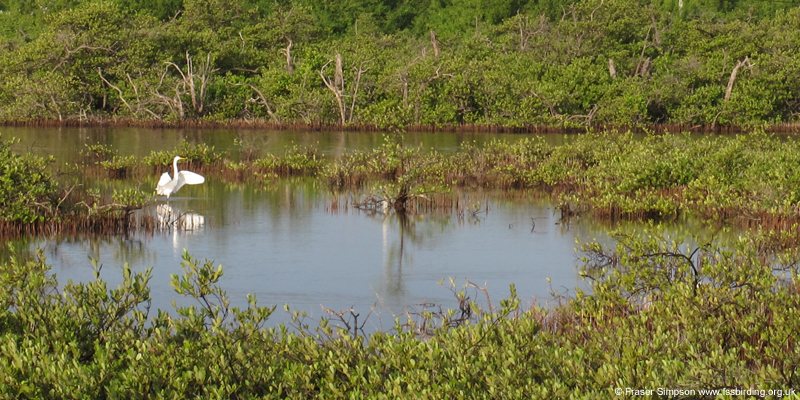 1, south-east of Cudjoe Key, 06/11. 2, southern tip of Cudjoe Key, 07/11. 1, East Shore Drive, Summerland Key, 08/11. 3, West Shore Drive, Summerland Key, 08/11. 1, Duval Street, Key West, 09/11. 2, East Shore Drive-Margaret Street, Summerland Key, 05/11. 3, East Shore Drive, Summerland Key, 06/11. 3, West Shore Drive, Summerland Key, 06/11. 2, along US-1 between Mote Marine Lab-East Shore Drive, Summerland Key, 07/11. 1, inc short song phrases, along US-1 between Mote Marine Lab-East Shore Drive, Summerland Key, 08/11. 2, West Shore Drive, Summerland Key, 09/11. 15, US-1, Summerland Key to Key West, 09/11. 2, West Shore Drive, Summerland Key, 05/11. 4, along US-1 between Mote Marine Lab-East Shore Drive, Summerland Key, 06/11. 6, US-1, Summerland Key to Key West, 09/11. 91, counted from Keys Shuttle bus between Key Largo & Miami Airport, 10/11. 3, between Key Largo & Miami Airport, 10/11. 12, Bogie Channel, No Name Key-Doctors Arm, Big Pine Key, 07/11. 4, Katherine Street pond, Summerland Key, 05/11. 1, Caribbean Drive East, Summerland Key, 05/11. 2, Katherine Street pond, Summerland Key, 06/11. 2, Margaret Street, Summerland Key, 07/11. 2, East Shore Drive, Summerland Key, 08/11. 4, Katherine Street pond, Summerland Key, 08/11. 1, 45th Street, Summerland Key, 09/11. 1, channels on south side of Summerland Key, 04/11. 4, Margaret Street, Summerland Key, 06/11. 4, 41st Street, Summerland Key, 06/11. 3, Margaret Street, Summerland Key, 07/11. 1, 46th Street, Summerland Key, 08/11. 1, West Shore Drive, Summerland Key, 09/11. 1, 1st-w f, Katherine Street pond, Summerland Key, 09/11. 2, along US-1, Mote Marine Lab-Murray's Market, Summerland Key, 04/11. 3, channels on south side of Summerland Key, 04/11. 2, Mote Marine Lab, Summerland Key, 04/11. 4, along US-1, Mote Marine Lab-East Shore Drive, Summerland Key, 05/11. 5, East Shore Drive-Margaret Street, Summerland Key, 05/11. 2, Margaret Street, Summerland Key, 05/11. 3, Katherine Street pond, Summerland Key, 05/11. 3, Katherine Street-45th Street, Summerland Key, 05/11. 2, Mote Marine Lab, Summerland Key, 06/11. 5, along US-1 between Mote Marine Lab-East Shore Drive, Summerland Key, 06/11. 2, 41st Street, Summerland Key, 06/11. 6, West Shore Drive, Summerland Key, 06/11. 12, south side of Cudjoe Key/Cudjoe Bay, 06/11. 3, along US-1 between Mote Marine Lab-East Shore Drive, Summerland Key, 07/11. 3, East Shore Drive lagoon, Summerland Key, 07/11. 4, Margaret Street, Summerland Key, 07/11. 3, Pirate's Road channel, Cudjoe Key, 07/11. 3, Mote Marine Laboratory, Summerland Key, 08/11. 3, along US-1 between Mote Marine Lab-East Shore Drive, Summerland Key, 08/11. 8, East Shore Drive, Summerland Key, 08/11. 3, 46th Street, Summerland Key, 08/11. 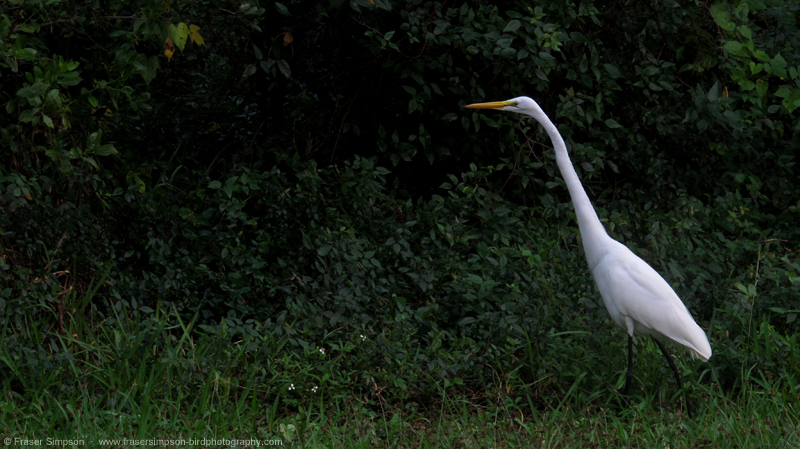 12, on lawn of property adjacent to Mote Marine Lab, 08/11. 5, along US-1 between Mote Marine Lab-East Shore Drive, Summerland Key, 09/11. 2, 44th Street, Summerland Key, 09/11. 1, 46th Street, Summerland Key, 09/11. 4, Katherine Street, Summerland Key, 09/11. 5, Duval Street, Key West, 09/11. 2, Mote Marine Lab, Summerland Key, 10/11. 1, 1st-w f, Katherine Street pond, Summerland Key, 08/11. 3, East Shore Drive, Summerland Key, 08/11. 5, East Shore Drive, Summerland Key, 08/11. 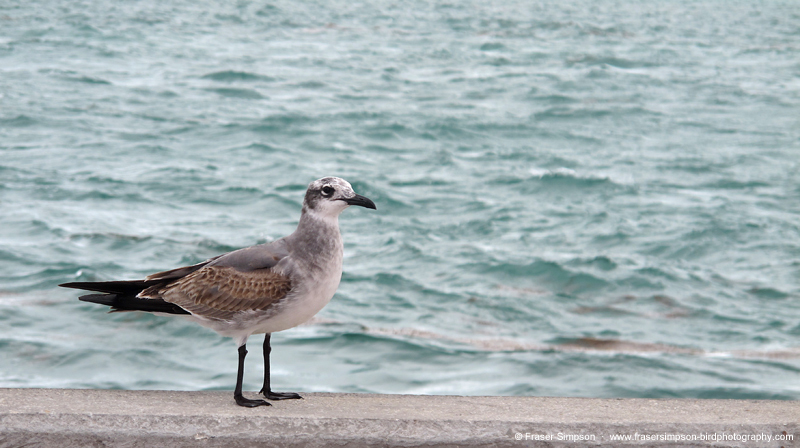 2, female + juv, Margaret Street, Summerland Key, 07/11. 1, female, Margaret Street, Summerland Key, 07/11. 46, US-1, Mote Marine Lab-East Shore Drive, Summerland Key, 05/11. 3, East Shore Drive-Margaret Street, Summerland Key, 05/11. 1, West Shore Drive, Summerland Street, 05/11. 46, along US-1 between Mote Marine Lab-East Shore Drive, Summerland Key, 06/11. 8, West Shore Drive, Summerland Key, 06/11. 32, along US-1 between Mote Marine Lab-East Shore Drive, Summerland Key, 07/11. 1, East Shore Drive, Summerland Key, 07/11. 23, along US-1 between Mote Marine Lab-East Shore Drive, Summerland Key, 09/11. 5, East Shore Drive, Summerland Key, 09/11. 4, East Shore Drive lagoon, Summerland Key, 09/11. c200, flying to roost, Miami Airport, 04/11. c45, flying to roost, Miami Airport, 04/11.